Welcome to the Goyen Family Tree. I’ve spent time gathering the information you find here. I hope you enjoy the site. If you have any corrections, disagree with anything I’ve listed, or need to confirm any details, drop me an email at douggoyen@gmail.com, or leave a message. This site is not complete – probably never will be – but I’d like to make sure everything listed here is as correct as it can be based on the information I have. Drury Goyen b. 1749 m. Sarah Baxter. 1) Martha Going born about 1768 – d. Aug 19, 1813, (Married 1790 to – Larkin “Asa” Tindall (d 1841)- moved to Warren County, Ga). (Note: My line descends from Drury Goyen b. 1749 to his son Elijah Going b. abt 1770 listed above, to his son Drury B. Goyen b. abt 1805, to his son William W. Goyen b. abt 1827, to his son John Bell Goyen b. in 1860 who moved his (our) family to Houston, Texas). Other Lines Related to Drury Goyen (cousins): Y-DNA results show Drury Goyen b. 1749’s line is related to several other Goyne, Going, Gowan, etc lines – most who lived in or near South Carolina where Drury Goyen b. 1749 lived as an adult. Most of these other Goyne, Going, Gowan, etc. lines are in the same position as we are – a brick wall – where they do not know for sure who the parent was of their oldest known ancestor (who are about the same age as Drury Goyen b. 1749. It is possible that the county where their parents lived had their courthouse documents destroyed – fires destroyed many county records over the years. John W. Goen b. 1804 Hawkins Co, TN d in Jackson Co, TN. (Note – Various Spellings: Documents indicate that Drury Goyen alternately spelled his last name as Drury Goyen, Drury Going, Drury Goin, Drury Goen, Drury Goyne, Drury Goyn, Drury Goyin, Drury Gowen, and Drury Gowing … so his children, and their lines, chose among these different spellings for their surnames. Spelling of many surnames did not begin to be exact, or “locked in”, until years after the dictionary was introduced in America in 1808. You can notice in documents that spelling became much more standard in the years after Webster published his dictionary in 1828 … spelling in documents, especially for last names, become set during the 1850s-1870s. By the 1870s, the spellings of became fairly uniform. Before the use of the dictionary became wide-spread, exact spelling of words, and surnames did not appear to be a top priority in education – as even educated people spelled words or names differently – even in the same document they would change the spelling from one paragraph to another). Site Index: This page is the “Sitemap” and includes a list of names included in this website and where to find them. (In Progress). I have placed the estimated date of birth prior to the name. The above “Site Index” lists all the pages I was able to copy from the “Gowen Manuscript”, in order to preserve that information – as it appeared nobody was keeping up that site any longer. Research: I have created pages for different states and their counties – I have listed the information found on “Going” type surnames or information I think may help in researching those counties. I list all surnames that appear to be a Going/Goyen/Gowan type name – without determining if they related to any line. I list this info for research purposes – for myself, and for anyone else to use who is doing research on their line. Scroll down the list on the Sitemap to find areas you might be interested in. The list is long, so I use the “Find” function on my internet browser to look for areas I want to find. Example: If I’m looking for info in Tuscaloosa, Alabama, I will go to the Sitemap and pull up my “Find” function, and type “Tuscaloosa” – to find any pages about Tuscaloosa and info I have previously found in Tuscaloosa, Alabama. Y-DNA Matches (page that shows people who have tested their Y-DNA matching our line). Y-DNA Matches with Hollis Family (the Hollis family has had several people that match with our Goyen/Going line with the same Y-DNA results – this page looks at those matches and attempts to use that information by triangulating those who match and their ancestors to see where they crossed paths, and use that information to resolve a few “brick walls”). Useful Links to Other Sites: https://goyengoinggowengoyneandgone.com/information-links/ (These are sites I found helpful in searching for ancestors). Hi, I am Nancy Brian. Moses Hollis Senior is my 5th grandfather. My great grandfather (who I knew), his mother was a Hollis. This is how I am related. My son got into the SAR based off of the 2 Moses Hollises being iin the revolutionary war. I agree that maybe the John Hollis born in Surry England is probably not the father of Moses. It looks like people Just copied each other based on what I see (but I could be wrong. Anyway, I wanted to congratulate you an your good work and to ask you what is the best way to do the DNA. I’m currently (as typing) adding new Hollis info – so check back. I’m not saying John Hollis is not Moses’ and James’ father, the more I look, the more it seems he may be the father. Both the Going family and Hollis family came from that area where John Hollis was living in Fairfax Co, Va. John Hollis (Elijah Hollis’ brother – both sons of Moses) stated in his Rev War pension application that he was born in Fairfax Co, Va. There were a couple other Hollis’ who were in that area, but John seems to be the oldest – so seems like he would be the father. There just isn’t a smoking gun that confirms it. Also, I do not know that John Hollis was from England. I found a Rev War pension application for a James Hollis from NC that said he was from Surry Co, England. He entered Charleston, SC as part of the British army, and deserted, then joining the Americans in SC under Marion. I don’t think there is any connection between him and our Hollis line. I wonder if that record set someone to searching in Surry Co, England, and they found a John Hollis about the correct age and assumed it was the same one that was here. Its possible he came from England, but I don’t know that this is confirmed either. Yes, I’m researching the Hollis family because we have the same Y-DNA signature. This means that somewhere along the line, either my line is really part of the Hollis (biologically), or the Hollis line is actually part of the Going/Goyen line (biologically). Probably an adoption, but possibly an out of wedlock relation. But regardless, from what I can see, it must have occurred prior to 1700 since both James Hollis b. 1730 and Moses Hollis b. 1728 both have descendants who have that same Y-DNA (so their father had that same Y-DNA). On the Going side, descendants of brothers John Going b. 1700 and Alexander Going b. 1715 have the same Y-DNA – meaning their father (William Going b. 1680) had that same Y-DNA. I’d like to confirm who the Hollis father is (John Hollis or whoever) and confirm who their children were. Somewhere down the line, we might find a split in the Y-DNA signatures – where part of the descendants of a particular person are one signature, and other set of their descendants are another signature. This might tell us when the adoption, or out of marriage event occurred. The Going family was in the Westmoreland / Stafford County, Va area by at least the 1680’s (maybe before). I’ve seen several Hollis families in that area of Virginia starting in 1638 – but I’m not sure they are related. Anyway, check back. I’ll be adding info. I’d like to see more Hollis Y-DNA test results – that might help. You would need to know a male Hollis cousin or relative that is willing to submit the test – the Y-DNA only carries father to son – so it should be a “surname” DNA test – as long as there were no adoptions or out of marriage events. Also, did you research the Hollis family because they have a common ancestor? Yes, it appears there was a common paternal ancestor of John Hollis b. 1700’s line and the brothers John Going b. 1700 and Alexander Going b. 1715’s lines. (They had the same of one of the following – father, grandfather, g-grandfather, g-g-grandfather, etc. . . . Somewhere down the line there was a common paternal ancestor . . . I don’t know when or where – other than it appears to be before 1700. A good place to start looking is the Northern Neck of Virginia in the late 1600’s, since this is the earliest I can definitively track both families. It may be earlier than that (both families appear to have possibly been in Maryland prior to Virginia), but I don’t have any definitive documents for either side yet to track back further. Where did you locate the 1825 Aug 8 estate distribution for William Hollis Jr that includes the relationships to father and siblings? I’ve found records but not the one that shows the relationships? It would be helpful for an application for the SAR I’m completing. Beginning of William Hollis Jr’s loose probate papers (4 pages total, 533, 534, 535, 536). Can’t help but notice as missing are any possible links the numerous black Goins/Goyens/Gowen families also native to Buckingham County. My paternal g-grandmother was Nettie Goins, who, though listed in census records as black, looked as white as Donald Trump. I’ve been researching her origins for years, but I see this info won’t get me any closer to the truth. True genealogy does not limit itself to race. White sperm fertilized many a black egg over America’s history. She didn’t come from Africa looking that way, and we can’t simply ignore it. Here are some pages of Buckingham Co, Going/Goins. I will add additional pages for people I have info on born in the 1700s when I can, but I am not personally researching/going deeply into lines outside my own line for those born in the 1800s and 1900s (too many people for me to add/research on my own). For those born in the 1700s and before in the US area, I am interested in adding their info when possible. I have copied and pasted from the GRF to my site to ensure that their information is available (not sure the GRF is still being kept up). I have tried to add as many pages of those I have investigated personally – but I have many more to go. I’ll keep adding as I can – its mostly pre-1800 info for people I’m not personally related to. Pre-1840 info is tough to sort out, so when I find info on someone born before 1800, I try to make pages for those people so I can sort out which family they belong to. I’ll probably add 1800-1840 info in some time in the future – but it starts to get pretty voluminous. For anyone born after 1840, if not directly related to me, I haven’t done research on many if not related to my line. I’ve cut and pasted from the GRF to here, but not much additional from me personally. The US Census info from 1850 and on helps sort out who is who – but occasionally I do come across someone I’m not sure about born after 1840 and do some research on them – so I might have info saved on my computer that hasn’t been placed on this site. If you have any info on your grandmother’s birth year, parents, or siblings, that might help me find info that connects her to someone I’ve looked at. I did notice a Genetta F. Goin in Buckingham Co, Va, born about 1840 in the 1880 US Census on the Buckingham Co, Va page listed above. Not sure if Genetta is the same as your Nettie, this is info I copied from the GRF pages, but there may be a connection there. I am attempting to find information on Valentine Bell, Sr. (1740 – 1799). He is 7-times great grandfather on paternal side. Can you provide any information regarding his heritage and how his family came to America. Your site is chock full of erroneous information about the Ezekiel Joines/Joynes family of Wilkes County. The surname Joines/Joynes is not the same as your Goyen name, and I would appreciate it if you would respect the records and quit changing the name Joines to Goins. 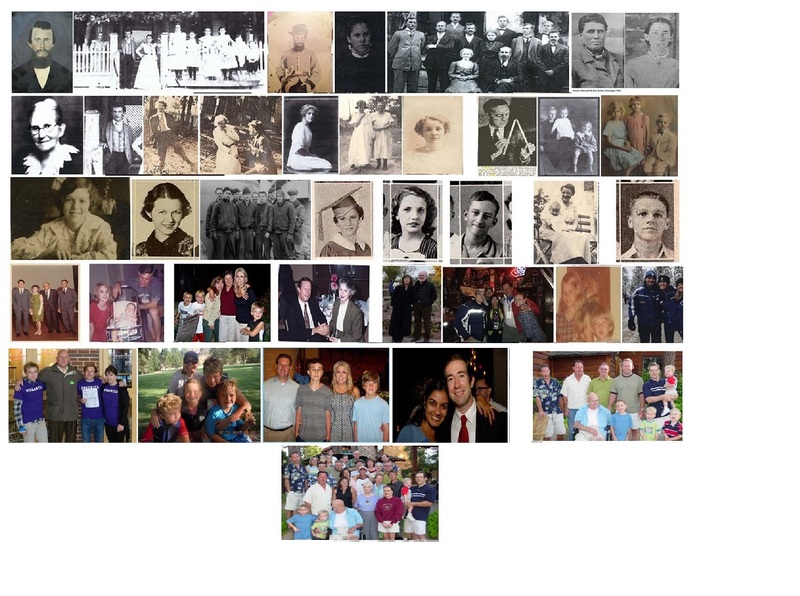 See the Joines DNA project on Family Tree for the difference. If you think you are related to the Joines family, then submit your DNA to the project and see if it’s true. https://www.familytreedna.com/public/joines/ If you aren’t, then quit perpetuating this erroneous information. Thank you Joyce! I was never trying to say Joines was the same as Goyen. The pages where Joines family members are listed are research pages – where I’ve placed much of the information I’ve found regarding documents and researchers who have found information on Gowen/Going/Goin/Goen/Goyne family name variants (including some info you have posted regarding how Joines was sometimes spelled “Goins” or “Goines”). I use this information to help me differentiate between different lines, and keep up with documentation that has been proven to be part of lines NOT related to my line, ones that ARE related to my line in some way, and ones that I am unsure of. I post this information hoping others will find it helpful – and hoping people will let me know if I’ve made an error, or if they have information to add. I placed a note next to all Joines names I found on my site here to address your post here. I am not related to the Joines family myself (never claimed to be), and it does not appear any of the other lines with “Gowen, Going or Goines” type names are related either. The only reason I listed the “Joines family” information was that it appears that you had posted in the past that some documents in Wilkes County, NC are spelled “Goins” but should be Joines. Additionally, the “Gowen Manuscript” had listed your Joines family with a spelling of “Goins” occasionally, and so did the Lumbee Indians website. I’ve come across some mistakes on the “Gowen Manuscript” – most of their information is correct and is very helpful – before relying on the information found there, it is best to verify it by looking at the documents cited (when cited). I actually have not found these documents that spell your surname Goins . . . if you have a copy, or a link to those documents, please supply the documentation. I found some of your old posts online where you had said some of the “Joines” had spelled their name Goins (see the following link – there are several others where you say that some of the documents in Wilkes County, NC for your Joines line are actually spelled Goins)(These are copies of your posts I believe): 1) “The only Goins in Wilkes records that I know of was my ancester Ezekiel Joynes/Joyns/Joines”, https://www.ancestry.com/boards/thread.aspx?o=20&m=1545.1546.1669.3.1.1.1.2.1.1&p=localities.northam.usa.states.northcarolina.counties.wilkes , 2) “there is no evidence that the Joines family in Wilkes is connected to the Melungeon Goins surname” https://www.ancestry.com/boards/thread.aspx?mv=flat&m=1545&p=localities.northam.usa.states.northcarolina.counties.wilkes , 3) “. . . as Thomas Goins I believe–the name is spelled Joins, Joines, Joynes, Jines, Gines, Goins–it used to be pronounced “Jines””, and “Ezekial Goins’s marriage to Sarah Gunter was recorded in Rowan County around 1782?? ?–again I can look up the date . . .”, https://www.ancestry.com/boards/thread.aspx?mv=flat&m=1459&p=localities.northam.usa.states.northcarolina.counties.wilkes , 4) “The first Joines to appear in records of Rowan County (from which Wilkes was formed) is Ezekiel Joines (spelled variously Joynes, Joines, Joins, Goins, Goines, and Jines . . .” and “Ezekiel remarried in Rowan County to Sarah Gunter on 14 July 1779 (North Carolina Marriage Bond No. 000125211 – Sarah Gunter and Ezekil Goins).” http://www.ibiblio.org/mtnivy/BAJ/will.htm (Here is the link to the document on FamilySearch: https://www.familysearch.org/ark:/61903/3:1:S3HT-6QY9-32D?i=1281&cc=1726957&cat=179352 ). Nobody is updating the Gowen Manuscript (that I could find), so I copied and pasted their info to my site without editing (originally). As people notify me, I am correcting that information – typically by adding a note next to the “incorrect or speculative info” so people can see what the correct or additional information is (or an explanation regarding anything that is speculative or unknown – next to the entry . . . I do this if I am notified that the information is speculative or incorrect. There is too much in the Gowen Manuscript for me to confirm everything for all Gowen/Going/Goen/Goyne lines myself – but I will correct it if a researcher points out anything needing a correction). Again, thank you for the post. I have updated those Joines entries that I found here. If you find any others needing correction feel free to email me at douggoyen@gmail.com so I can add a correction or note that clarifies the entry.